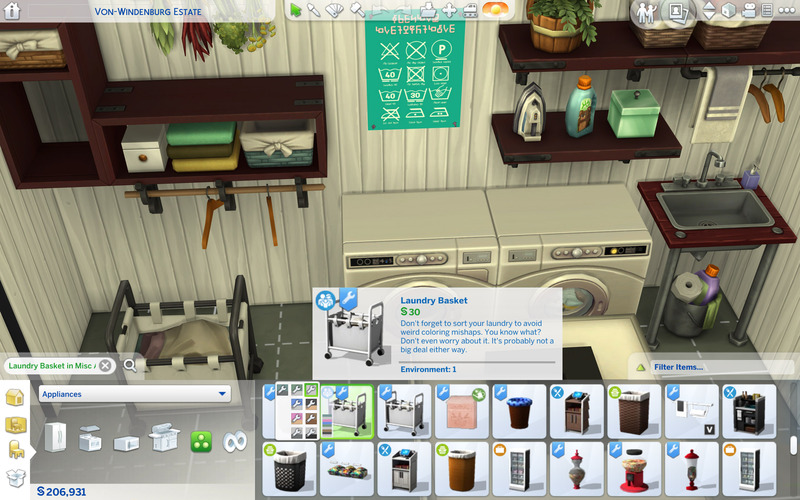 I was disappointed when SimGuruGraham announced that EA would not make any of the deco laundry bins from previous packs backwards compatible with the new laundry system in the Laundry Day Stuff Pack. 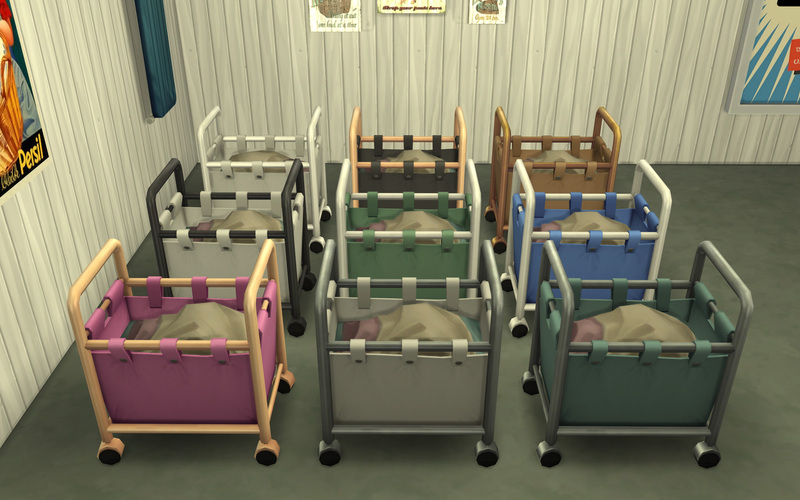 I really like the canvas hamper from Parenthood and I looked around the Internet but could not find any modded versions. 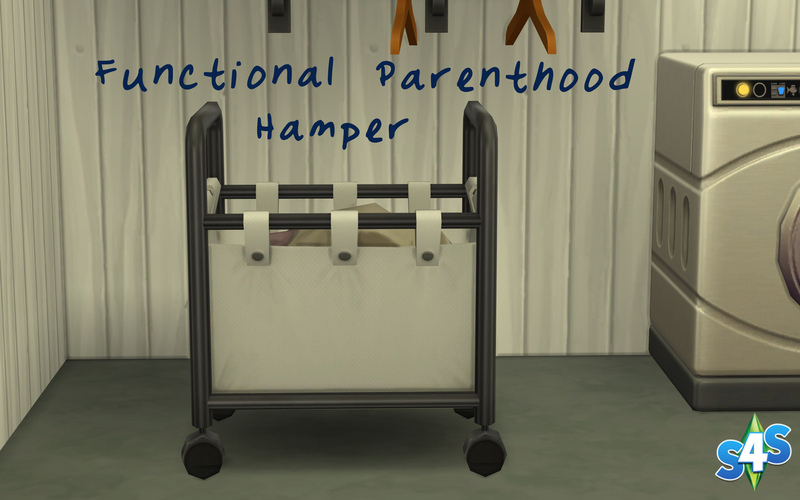 So here I present to the Simmer community, the Functional Parenthood Laundry Basket. Enjoy! P.S. It looks like EA fixed the initial placement issues with patch 1.41. You can now safely place the hamper against the wall and/or underneath shelves. This hamper was made on a Mac. If you have a PC, please delete the file named MACOSX - otherwise your game will not start. Thanks to ksstrek, jamee, SymJimm, and Cidsan for pointing out the error and the solution. Please download one or the other; however, downloading both won�t hurt anything. 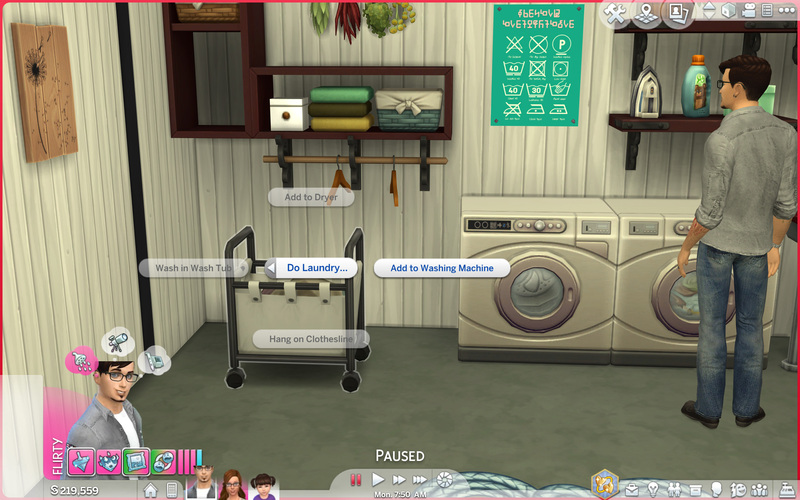 You�ll just have duplicates of the same laundry basket. This hamper was made on a Mac. If you have a PC, please delete the file named MACOSX, otherwise your game will not start. AA_FunctionalPHLaundryBasketDO.zip | Description: Flavor 1: Default Replacement - Replaces deco hamper with functional one. Updated for 1.51.75. Delete the old version before placing this one into your Mods folder. AA_FunctionalPHLaundryBasketSA.zip | Description: Flavor 2: Standalone - Adds a new functional hamper next to the deco one. Updated for 1.51.75. Delete the old version before placing this one into your Mods folder. Check out my Rightsized Thimble Hamper!